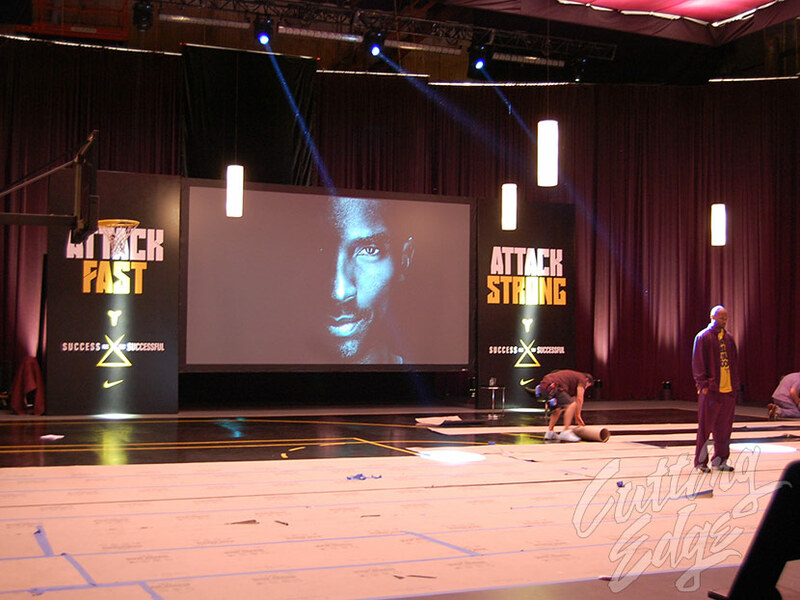 Ad agencies and production companies come to us with a variety of needs. 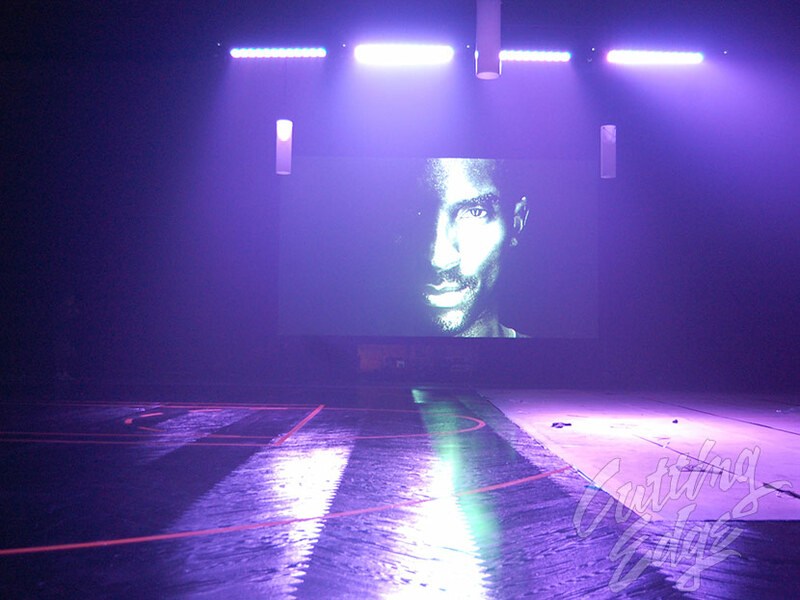 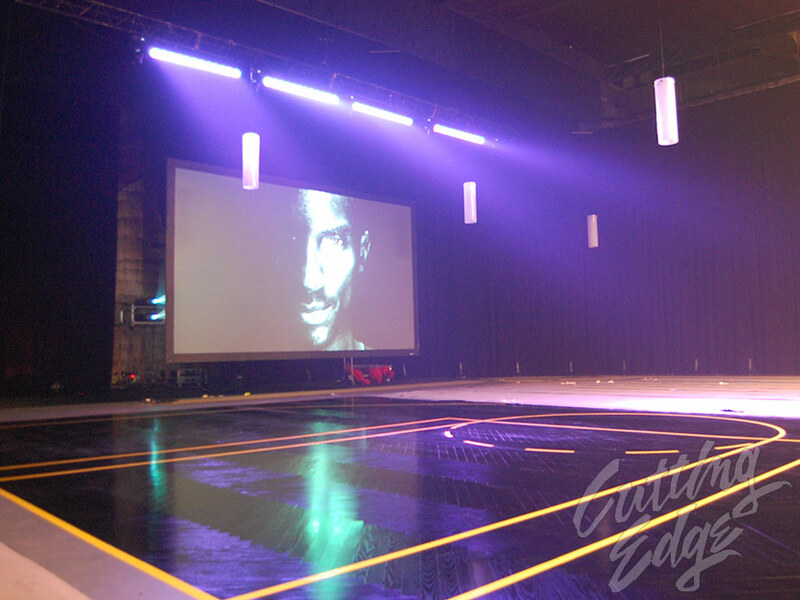 In this case for a NIKE commercial with Kobe - we used Double-Stacked 15,000 Lumen LCD Projectors to achieve a good image in the high ambient light of a Basketball court. 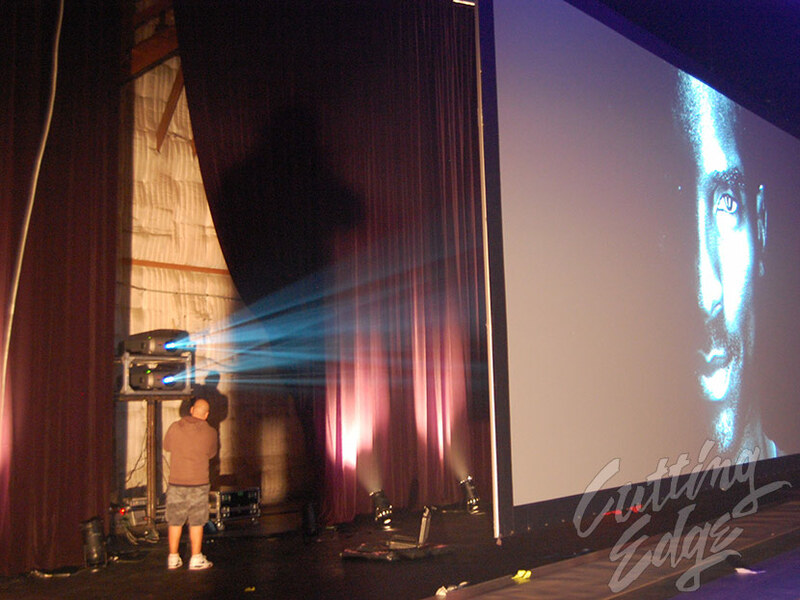 Pictured above is 30,000-Lumens on a 16' X 9' Rear-Projection Screen. 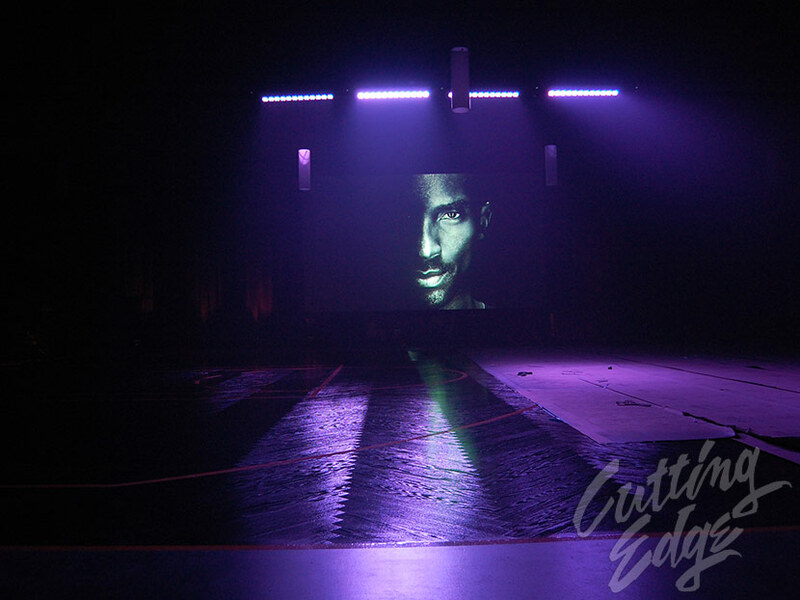 The content was a series of still photos sourced from a laptop computer.